CaribPress » Los Angeles sees city’s first teachers’ strike in 30 years. Los Angeles sees city’s first teachers’ strike in 30 years. More than 32,000 Los Angeles teachers and staff members are walking off the job. Schools will be open but it’s unknown how many students will head to classes in the nation’s second-largest school system. Some will be joining their teachers on the picket line. On Twitter, local organizations including the Los Angeles Tenants Union and the California Teachers Assn. announced their support using the hashtags #strike4ed and #redfored. 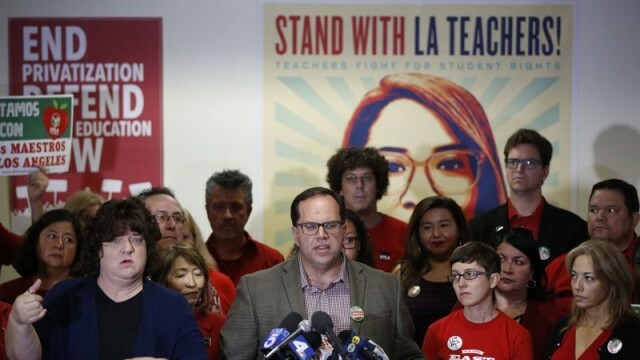 By deciding to walk out for smaller class sizes, more support staff, fewer standardized tests and charter school regulation, LA’s teachers have ensured that California will be the next state hit by a strike wave that shows no signs of ebbing anytime soon.